Rachel is a paediatrician in Oxford. Having a baby is a magical time for new parents, but with all of the inevitable unknowns, at times it undoubtedly becomes stressful. One aspect of confusion and stress for new parents is finding out that a paediatrician has been called to attend the delivery. This can raise feelings of doubt about the health of the baby and worries about him or her being taken to the neonatal unit. This article aims to address some of the reasons that a paediatrician may be called, and the role of the paediatrician in the delivery room. It is not intended to provide an exhaustive list of conditions, but rather it aims to reassure new parents. In general, there are three times when a paediatrician may be called to a delivery: before birth, during labour and after birth. The most common reasons for being called to the delivery suite before delivery are prematurity and abnormal antenatal scans. Prematurity is defined as any gestation below 37 weeks. Paediatricians are called to all deliveries of extremely preterm babies (less than 28 weeks). Different hospitals have different policies for moderate to late preterm births, but in general most midwives will request routine paediatric presence for any baby born less than 34-35 weeks gestation. Normally, if a paediatrician is called because of a finding on an antenatal scan, your obstetrician will have warned you about this already. Antenatal scans can pick up a variety of ‘abnormalities’ that may represent normal variants, and in this situation, a paediatrician is simply precautionary. 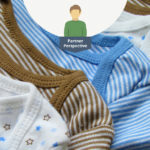 However, they can also identify serious conditions that may require early intervention in the neonatal period, such as heart, lung or kidney problems. In these situations, you should have been counselled about these and given opportunities to ask questions. Being called to a delivery during labour is the most common delivery call that a paediatrician receives. There are several different reasons for this. Sometimes the trace monitoring your baby’s heart rate fluctuates, which means they will need to be checked after birth. Sometimes, if your obstetrician feels the need to proceed with an instrumental delivery (that is – helping things along with a suction cup or forceps), they will call the paediatric team to be present. Sometimes, your baby will have done its first poo inside the womb. This is relatively common but may require a check to make sure he or she hasn’t inhaled any on the way out. Occasionally, a paediatrician may be called urgently with an alarm if, for example, your baby’s shoulder has unexpectedly become stuck on his/her way to being born. If a paediatrician is called once your baby has been born, this is likely due to an issue that the midwife of yourself has noticed. This can be as minor as a benign birthmark or may be something that requires further investigation. Another common reason would be if your baby needs any treatment due to your own health. In babies born to mothers with infections, it is common to decide to test and treat the baby even if they appear completely healthy. Babies born to mothers with diabetes may require tests if their blood sugars are low. When a paediatrician arrives in the delivery room, you may notice several things. They will be likely to check the ‘resuscitaire’, which is the flat surface on which they check babies. You might hear some whooshing air as they check various functions, such as suction and oxygen. They might get out various pieces of equipment or get a hat ready to keep the baby’s head warm. In the case of an extremely preterm baby, you might notice there are several members of the paediatric team, which can be intimidating. They may have equipment to keep the baby warm, including a special plastic bag for very small babies. You may also hear bits of discussion, some of which can sound scary. You might hear them asking your midwife about ‘risk factors’ which can include anything from your antenatal scans, infections in pregnancy, baby’s growth or other problems such as diabetes. It is possible that the midwife and obstetric team will feel so comfortable with the appearance of your baby when he or she is born that the paediatrician may not even be asked to assess it. Don’t feel worried about that – they can always come back if concerns emerge. Many parents feel very anxious that their baby may be taken to the neonatal unit. 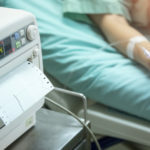 This can feel like a loss of control, and it can be disappointing to face a potential prolongation of the hospital stay. 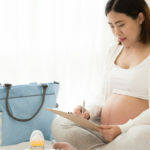 Unfortunately, this area of medicine is impossible to predict and the experience of each family is unique, depending on the baby’s health and your own personal situation. However, it is important to remember that, as parents, you are the most important people in your baby’s life. Gone are the old days where you would have to stare at your baby in a cot through a window. Most neonatal units operate 24 hour visiting for parents, and you will be encouraged to establish feeds, nappy changes, clothing, cuddles and all else that you might expect as a new parent. There are three key times a paediatrician may be called to the delivery room: Before birth, during labour, and after birth. A paediatrician will commonly be called to the delivery suite before delivery because of prematurity or abnormal antenatal scans. 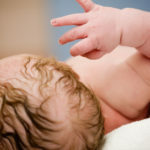 Paediatricians are most commonly called to the delivery room for one of the following reasons: the trace has shown fluctuations in the baby’s heart rate, an ‘instrumental’ delivery is required, or they may need to check the baby has not inhaled meconium (baby’s first faeces) during delivery. A paediatrician may be called, as a matter of urgency, if the baby gets stuck on their way to being born. A paediatrician will be required if the mother has any pre-existing health conditions, such as diabetes, or if a problem is noticed after birth. If your baby is taken to the neonatal unit, don’t worry. Nowadays, neonatal units allow 24 hour visiting for parents and encourage lots of interaction with your newborn.